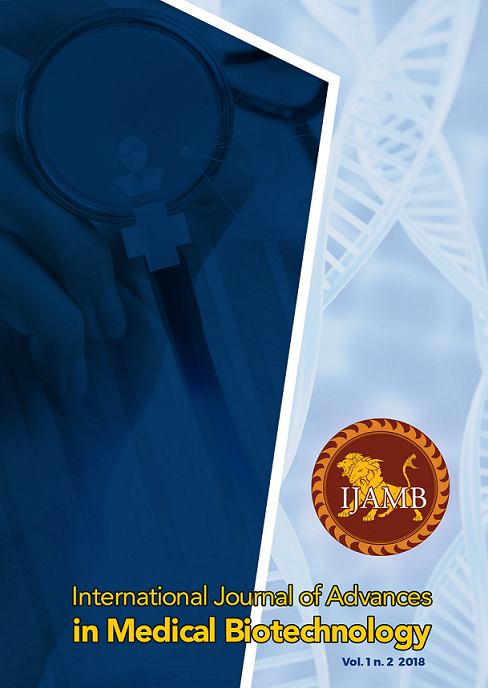 International Journal of Advances in Medical Biotechnology (IJAMB) is a peer-reviewed open access journal which provides a forum for discussion and dissemination of studies in Medical Sciences and Biotechnology fields. As a scientific publisher, IJAMB will focus on the dissemination of Original Papers, Reviews, Mini-reviews, Perspectives, Emerging Technologies and Spotlights relating scientific discoveries and inventions. The submitted papers should indicate the novelty and significant advances to the current state of knowledge and understanding of the proposed topic. In this context, the IJAMB emerged as a means of sharing new knowledge oriented towards to the future which is related to the most relevant advances on Medical Sciences and Biotechnology fields. Therefore, the topics of interest to the current journal include: Regenerative Medicine; Biomembranes and Biopolymers; Slow delivery systems of drugs; Medical devices; Medical chemistry organic and inorganic; 3D structures; Growth factors; Tissue Engineering; Electronic technologies for health applications and papers focusing on biological, physiological and pharmacological modelling molecules.